For those that have completed the RR 5 day training, and want to learn the advancements in RR, and it’s laws of opposites, and to maybe be able to go on and teach RR as a Chris Milbank approved trainer, this is the workshop for you. You will learn new insights into the RR Laws of Opposites, and just by understanding these laws you will be able to further help yourselves and others navigating through life. You will learn diagnostic tools, to understand how certain people like parents or guardians energetically affect your lives, and how you can work with these for your own betterment. You will further learn, language patterns used in RR, and how RR conversational framework can make quick and effective changes just in conversation without people even knowing, your helping them. You will learn how to make rapid changes in self to change others often in an instance. You will tricks Chris uses in the art of teaching, to create a change, and intensify with ease learning experiences. 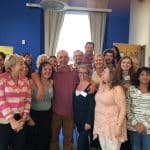 To attend this course, you must show Chris the changes RR has bought to yourself and others, through some written testimonials, and a general chat with Chris first. He really wants the best for you, so he will telly you whether you are ready or not, and if you are not quite there he will give you some extra tips on RR, to help you get there. Chris particuarly looks for self change, even more than using RR in others, although this is also important before being able to train in advanced RR. Chris will share secrets, and stories, real life amazing examples of what RR can do, but also how to apply RR to any effective treatment. Chris will share also the real art of Remote RR, VIA an image, or blood and or hair sample, that enables you to reach anyone anywhere, without phone radio or laptop. The fee for the Advanced RR Training is 700 UK Pounds. Chris will offer on the course, help in raising your own fees, so that you can live more comfortably on your income.